A classic that's gotten better with age! 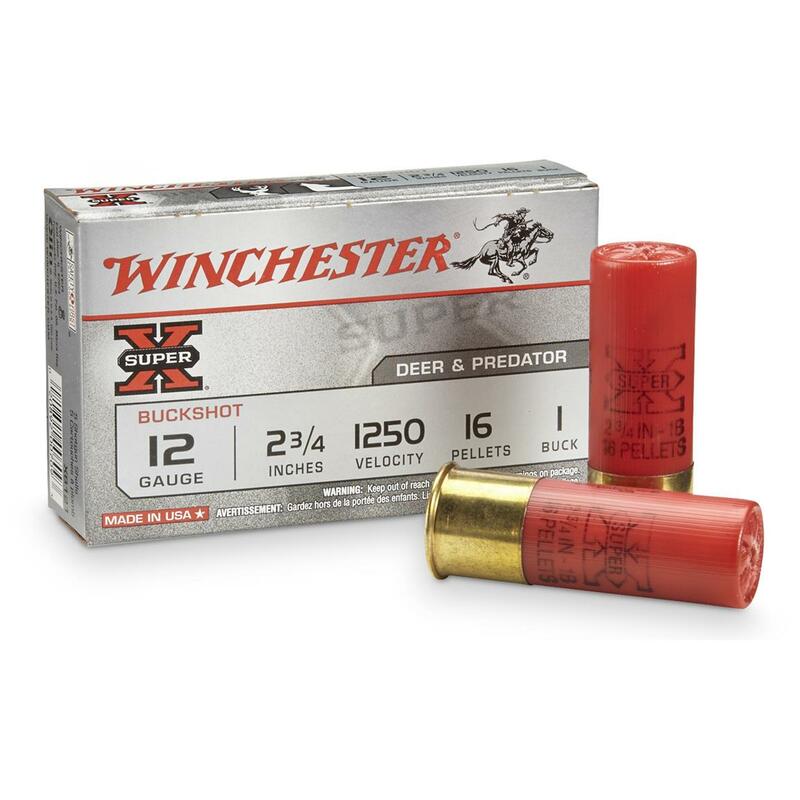 Since 1922, Winchester® Super-X® Buckshot has packed all of their shotshell manufacturing experience into every round. Topnotch, consistent performance with heavy stopping power and only mild recoil. Buffered and unplated. Winchester Super-X Buckshot, 12 Gauge, 2 3/4 Shell, 1 Buck, 16 Pellets, 5 Rounds is rated 4.8 out of 5 by 29. Rated 5 out of 5 by Skiboy from great performance These shells seem to show a more consistent pattern out of my gun than other brands. Rated 5 out of 5 by Mlrtime from Great price on hard to find Shotshells I had looked all over online ammo dealers for #1 Buck loads without success. Did a search for "no. 1 buck" and Sportsmans Guide came up with the Winchester Super X in 2 3/4 #1 buckshot, best patterning buckshot for my Winchester auto loader ever. Price was great too!